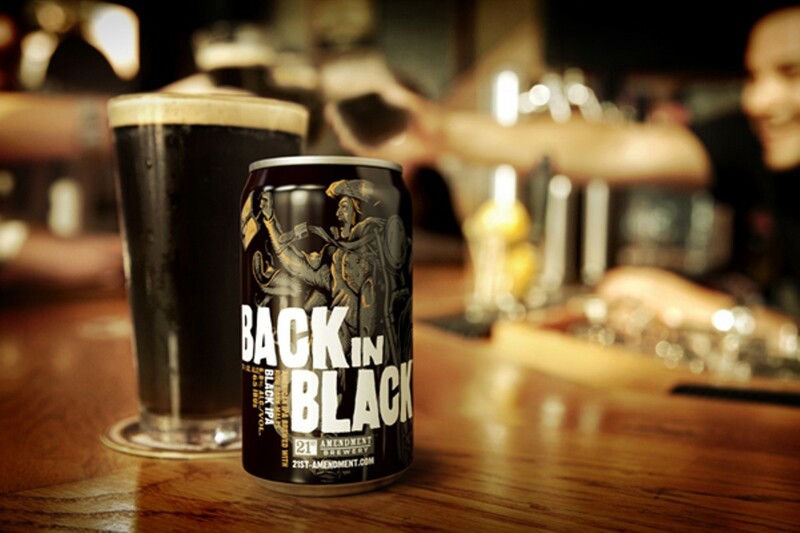 21st Amendment began canning its beer after its co-founder saw other microbreweries doing it. Once the domain of cheap beers and sodas, cans are now drawing the attention of craft brewing companies. It's a reinvention of what canned beer represents, and it's good business for all those involved, including microbreweries that want to distribute their product more efficiently and cheaply, consumers who desire a more portable beer, and startups that see an economic opportunity to fill a niche. To the beer connoisseur, canning craft beers may seem like a violation — a sellout, even — given the generally negative perception associated with canned beers. But breweries and advocates are trying to reframe the can. And, so far, their efforts appear to be successful. There are currently 179 breweries, including 11 in California, that can their craft beer, according to CraftCans.com. One of the main arguments for canning beer involves the sometimes intentional but often-unpleasant effects of skunking. According to Adam Lamoreaux, founder of Oakland-based Linden Street Brewery, skunking is what happens when light and oxygen make contact with beer, causing it to have a different taste. This happens more often with beers that are bottled in clear or green bottles, such as Corona or Heineken. In those cases, brewers intentionally skunk the beer to produce a certain flavor. "That's the absolute worst thing you can do to a beer," Lamoreaux said. "But some people like that kind of beer." It's one of the main reasons craft brewers use brown bottles to package their product. Although they're not completely skunk-proof, brown bottles keep out more light. But cans completely shut out light, and do a better job of keeping out unwanted oxygen as well. Breweries also save money on distribution. 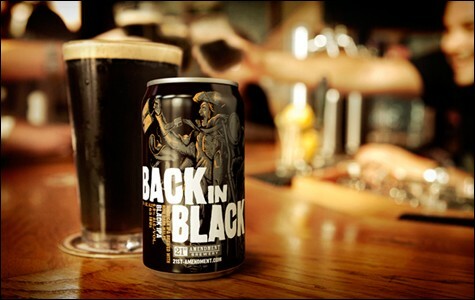 21st Amendment Brewery co-founder Shaun O'Sullivan said his San Francisco-based company can ship 110 cases of canned beer for the same cost of shipping 70 cases of bottled beer. "The savings come in the shipping" due to weight differences, he said. There's also benefits to consumers: No longer do craft-beer lovers have to lug heavy and breakable bottles to the beach, park, or camping adventures. Canned beer is easier to carry, weighs significantly less on the way out, and can be more efficiently recycled. In fact, that's about where the consumer benefits end. Craft canned beer costs the same as its bottled variant, but the energy savings in shipping and consumer portability make them more attractive. But there doesn't appear to be much difference between canned and bottled beer in terms of what really matters — taste. In fact, canned craft beers have gained recognition in critical examinations by beer experts. This year, Maui Brewing Co.'s canned Coconut Porter became the first canned beer winner of The Washington Post's annual Beer Madness competition, which pits 32 craft beers against one another in a tournament-style contest. The canned craft-beer trend actually started as a joke. In 2002, Colorado-based Oskar Blues Brewery canned a batch of its beer, but after people expressed their surprise at how good the beer tasted, the company decided to become an advocate of the canning cause. It would take years for other breweries to overcome the intense negative stereotype that pervades American culture about canned beer — the idea that canned beer is inferior to the bottled kind. This is mostly because major beer companies, like Pabst Brewing Co. and Anheuser-Busch, have earned a reputation for products that are consumed for the sake of quantity, not quality. Starting in 2008, the canning rage started to sweep microbreweries in the Western United States. Colorado-based New Belgium Brewing Company started to can its flagship Fat Tire Amber Ale. 21st Amendment jumped into the canning foray, as did Anderson Valley Brewing Company. When it opened, craft brew startup Uncommon Brewers, based in Santa Cruz, announced that it would can all of its selections. And in March, Sierra Nevada Brewing Co., one of the country's largest craft breweries, finally jumped on the canned-beer bandwagon by launching a canned version of its renowned Pale Ale and Torpedo brands. "I gotta give Oskar Blues props," said 21st Amendment's O'Sullivan "They were the inspiration for [canning our product]." While attending the Great American Beer Festival in Denver a few years ago, O'Sullivan said he was "struck by lightning" after seeing, and tasting, how awesome some of the canned craft beers were from other microbreweries. When he shared his thoughts about expanding into the canned beer market with his partner, Nico Freccia, "he thought it was the dumbest idea in the world." Freccia's opinion must have changed, however, because the company successfully expanded into the canned craft beer market. O'Sullivan said the company produced 28,000 31-gallon barrels of beer last year. This year, he expects 45,000 barrels. But the barriers to entry are still high. Canning lines are expensive beasts, particularly for a small-time craft brewer. In Northern California, there are only four breweries that have on-site canning facilities: Uncommon Brewers, 21st Amendment, Anderson Valley, and Sierra Nevada. Most other brewers either outsource their canning or keg their product. But the emergence of a mobile canning operation may change all that. A Bay Area startup called The Can Van aims to bring affordable mobile canning services to up-and-coming craft brewers and microbreweries that can't afford to buy a canning line. Launched in February, The Can Van was founded by five graduates from the sustainable management program at Presidio Graduate School in San Francisco. During the last semester of their program, students were encouraged to develop a sustainable business venture, said Kate Drane, the company's chief marketing officer. Originally, the five students were thinking about setting up an operation in Alaska, where none of the breweries have canning lines, and where hunters wander into the wilderness for months at a time carrying bottled beer with them. But then the company realized the potential for linking up with the many breweries here in California that were in dire need of those services. "With a mobile canning line, we can service many breweries and save on resources," Drane said. Much of the savings has to do with purchasing volume. The minimum order for aluminum cans through the Ball Corporation, a leading can manufacturer, is 100,000 cans — way more than most breweries need or can afford, Drane said. To-date, The Can Van has four clients — Devil's Canyon Brewing Company, Pacific Brewing Laboratories, Mill Valley Beerworks, and Monkey Paw Pub & Brewery — and a number of others in the works. "People are definitely interested," Drane said. "For us, that's wonderful." As craft breweries are re-evaluating the worthiness of cans, the wine industry, too, is having its own moment of soul-searching, battling preconceived stereotypes of boxed wine. "People are getting more comfortable with different types of packaging for their alcohol," O'Sullivan said. "I think [canned craft beer is] going to be around to stay." Will Occupy Oakland Embrace Strategic Nonviolence?